Musings – Climate Change and Science? About ten years ago I wrote a book one purpose of which was to show that science and biblical creation were completely compatible. The book was an unapologetic polemic against Creationists whose ignorance of science and the scientific method permit the belief in explanations of natural phenomena that have no grounding in science. Moreover, for the last two years I’ve been teaching Genesis creation at the University of Montana in which, as in my earlier book, I position scientific and theological claims as compatible and, indeed, supportive of each other. In both book and class I spend a fair amount of time describing science and what scientists actually do. Having practiced science for a short time (grad school only) my understanding of how to “do science” is well reflected in Mr. Hinderaker’s article (which I hope you will read at least twice). But, his article reminds me of how I tried (and continue to try) to capture the professional life of a scientist in both my book and my Genesis creation class. One of the best ways to understand science and what constitutes a scientific accomplishment is to look at what science isn’t and what it doesn’t accomplish. For this we turn to Hollywood! Hollywood’s view of science is instructive because its view is so profoundly and dangerously ignorant. Ignorant in a way that lulls consumers of Hollywood fantasies into believing that the claims of the proponents of anthropogenic Global Warming (aGW) are rooted in real science. 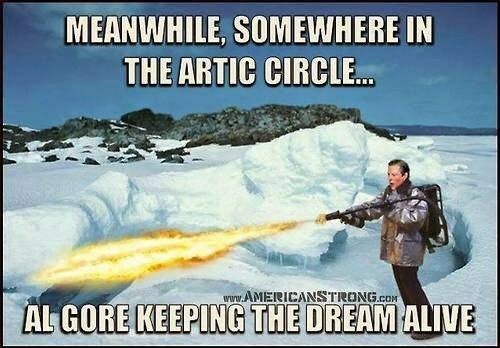 The advocates of aGW are not unlike the Creationists, but they are far more dangerous. Creationists advance claims that are obviously absurd even to the uneducated. The advocates of aGW also advance absurd claims but couched in language all but impenetrable to most of us. The Hollywood view (and the view of most Americans today) is that Mr. Spock of Star Trek fame and the Professor character on Gilligan’s island epitomize the scientist. What of this picture? Are the accomplishments of Spock and the Professor scientific? No! In the Hollywood view, scientists are walking, talking, encyclopedias. Spock and the Professor were so knowledgeable and creative that they could use any existing technology to solve a problem that, but for their innovations, saved the day. But scientists are not engineers nor physicians – occupations that require extensive and in-depth knowledge of existing scientific findings. Engineers and physicians do not do scientific experiments to uncover new findings of how the natural world actually works. Engineers and physicians, like Mr. Spock and the Professor, apply their scientific knowledge to existing problems. Scientists, by contrast, seek to make the unknown known. Scientists are trained to advance our understanding of nature by questioning existing knowledge. To accomplish this they are trained (and required) to use the scientific method – a process by which existing scientific claims are proven false. Scientists, at the end of the day are falsifiers. Mr. Hinderaker makes the point that Global Warming, as currently described, is not scientific because the theory cannot be falsified. Theories, like Global Warming and Creationism are not scientific because they are not testable. They cannot be subjected to the scientific method. They are, in every respect, religions.